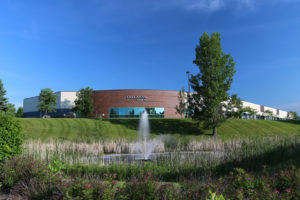 Plymouth, Minnesota – 18th November 2015 – Creganna Medical today announced that it has significantly expanded its operations in Plymouth, Minnesota with the opening of a new state-of-the-art manufacturing facility. The new plant is a custom 100,000 sq. ft. facility that triples Creganna Medical’s existing manufacturing footprint in Minnesota and greatly expands the company’s capacity to serve medical device customers for braid, coil and other minimally invasive device technologies. Along with a multi-million dollar investment in the development of the new facility, the company expects to hire an additional 50 staff to support ongoing expansion at the site over the next 18 months. 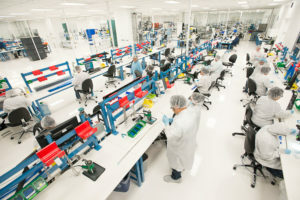 The new facility deepens Creganna Medical’s R&D, manufacturing and commercial presence in Minnesota, a critical US cluster for the minimally invasive medical device industry and home to an estimated 700 medical device companies. Cleanrooms at Creganna Medical’s new facility in Plymouth, MN. Center of Excellence for Structural Heart and Electrophysiology therapies. The 300 person site in Plymouth provides braid, coil and associated technologies for catheter and sheath devices including complex sub-assemblies and components. Coinciding with the site expansion is the addition of expanded engineering capacity to support medical device products from prototyping to high volume commercial manufacturing. To enable rapid response for product development, investment in a dedicated R&D unit has been made, encompassing an independent technical lab, collaborative prototyping zone and support cleanroom. Located at 5905 Trenton Lane North, Plymouth, the new facility is FDA registered and commenced operations in 2015 having relocated all activities from the company’s previous facility at Xenium Lane North, Plymouth earlier this year. Hiring for new positions to support the expansion continues. Creganna Medical has expanded its US operations with the opening of a new facility in Plymouth, Minnesota. 300 person workforce to expand with the addition of engineering and product assembly roles. The new 100,000 sq. ft. facility triples Creganna Medical’s operations in the region. The new facility is fully operational and all activities at Creganna Medical’s former facility have been relocated to the new site. Creganna Medical’s operations in Plymouth, Minnesota have served the medical device industry for over 12 years. The company acquired the operations in 2010 when it purchased Tactx Medical Inc. Since then, the site has developed to become a global Center of Excellence for Structural Heart and Electrophysiology therapies within the company’s network of facilities. Over 300 people are employed by Creganna Medical in Minnesota. Creganna Medical is ranked among the Top 10 global companies in the medical device outsourcing industry. The company specializes in the design and manufacture of minimally invasive delivery and access devices for a range of therapies. Serving over 400 companies across 30 countries, Creganna Medical’s customers include the world’s leading medical device and life science companies. Headquartered in Galway, Ireland, Creganna Medical has a global operational footprint with design and manufacturing facilities spanning the US, South America, Europe and Asia.